Heinrich Himmler, saluted by a Luxembourgish policeman, during his visit to Luxembourg in September 1940, several months after the invasion. Surrendering after just a day of fighting, Luxembourg was placed under occupation and was annexed into Germany in 1942. During the occupation, the German authorities orchestrated a programme of "Germanisation" of the country, suppressing non-German languages and customs and conscripting Luxembourgers into the Wehrmacht , which led to extensive resistance, culminating in a general strike in August 1942 against conscription. The Germanisation was facilitated by a collaborationist political group, the Volksdeutsche Bewegung , founded shortly after the occupation. Shortly before the surrender, the government had fled the country along with Grand Duchess Charlotte, eventually arriving in London, where a Government-in-exile was formed. Luxembourgish soldiers also fought in Allied units until liberation. The linguistic situation in Luxembourg is characterised by the practice and the recognition of three official languages: French, German, and the national language Luxembourgish, established in law in 1984. These three languages are also referred to as the three administrative languages. The Wehrmacht was the unified armed forces of Nazi Germany from 1935 to 1945. 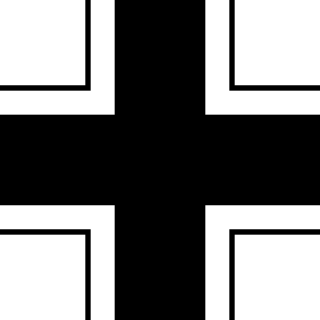 It consisted of the Heer (army), the Kriegsmarine (navy) and the Luftwaffe. The designation "Wehrmacht" replaced the previously used term Reichswehr, and was the manifestation of the Nazi regime's efforts to rearm Germany to a greater extent than the Treaty of Versailles permitted. The Luxembourg Crisis was a diplomatic dispute and confrontation in 1867 between the French Empire and Prussia over the political status of Luxembourg. The confrontation almost led to war between the two parties, but was peacefully resolved by the Treaty of London. The Reichstag, officially the Großdeutscher Reichstag after 1938, was the pseudo-Parliament of the Third Reich from 1933 to 1945. 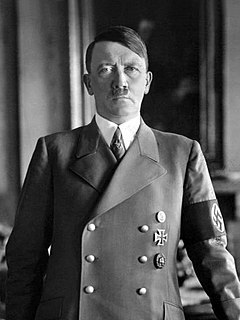 Following the Nazi seizure of power and the passing of the Enabling Act of 1933, it met only as a rubber stamp for the actions of Adolf Hitler's dictatorship — always by unanimous consent — and to listen to Hitler's speeches. In this purely ceremonial role, the Reichstag convened only 20 times, the last on 26 April 1942. The President of the Reichstag throughout this period was Hermann Göring. Appeasement in an international context is a diplomatic policy of making political or material concessions to an aggressive power in order to avoid conflict. The term is most often applied to the foreign policy of the British governments of Prime Ministers Ramsay MacDonald, Stanley Baldwin and Neville Chamberlain towards Nazi Germany and Fascist Italy between 1935 and 1939. The Phoney War was an eight-month period at the start of World War II, during which there was only one limited military land operation on the Western Front, when French troops invaded Germany's Saar district. The Phoney period began with the declaration of war by the United Kingdom and France against Nazi Germany on 3 September 1939, and ended with the German attack on France and the Low Countries on 10 May 1940. While there was no large-scale military action by Britain and France, they did begin economic warfare, and shut down German surface raiders. They created elaborate plans for numerous large-scale operations designed to swiftly and decisively cripple the German war effort. These included opening a French-British front in the Balkans; invading Norway to seize control of Germany's main source of iron ore; and a strike against the Soviet Union, to cut off its supply of oil to Germany. Only the Norway plan came to fruition, and it was too little too late in April 1940. A blackout during war, or in preparation for an expected war, is the practice of collectively minimizing outdoor light, including upwardly directed light. This was done in the 20th century to prevent crews of enemy aircraft from being able to identify their targets by sight, for example during the London Blitz of 1940. In coastal regions a shore-side blackout of city lights also helped protect ships from being seen in silhouette against the shore by enemy submarines farther out at sea. On 9 May 1940, after increased troop movements around the German border, the barricades of the Schuster Line were closed. 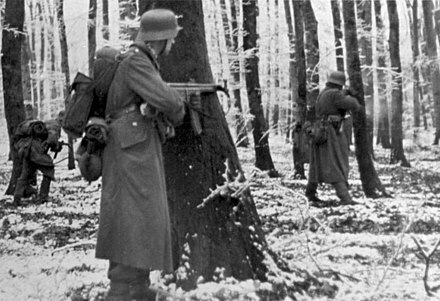 The German invasion of Luxembourg, part of Fall Gelb ("Case Yellow"), began at 04:35 on the same day as the attacks on Belgium and the Netherlands. An attack by German agents in civilian clothes against the Schuster Line and radio stations was however repulsed. [ citation needed ] The invading forces encountered little resistance from the Luxembourgish military who were confined in their barracks. By noon, the capital city had fallen. Poster announcing the death sentences of 9 of the 21 Luxembourgers executed for their participation in the 1942 General Strike. A Nazi parade by the Synagogue in Luxembourg in 1941. It was destroyed in 1943. Soldiers from Luxembourg training in Britain, 1943. The Flag of Luxembourg flying from the Hospital in Wiltz shortly after its liberation by the American 4th Armoured Division, 25 December 1944. German Volksgrenadier in Luxembourg, December 1944. ↑ "Eure Sprache sei deutsch und nur deutsch"
The German occupation of Luxembourg in World War II began in May 1940 after the Grand-Duchy of Luxembourg was invaded by Nazi Germany. Although Luxembourg was officially neutral, it was situated at a strategic point at the end of the French Maginot Line. On 10 May 1940, the German Wehrmacht invaded Luxembourg, Belgium and the Netherlands. Luxembourg was initially placed under a Military administration, but later became a civilly administrated territory and finally was annexed directly into Germany. The Germans believed Luxembourg to be a Germanic state, and attempted to suppress what they perceived as alien French language and cultural influences. Although some Luxembourgers joined the resistance or collaborated with the Germans, both constituted a minority of the population. As German nationals, from 1942, many Luxembourgers were conscripted into the German military. Nearly 3,500 Luxembourgish Jews were killed during the Holocaust. The liberation of the country by the Allies began in September 1944, but due to the Ardennes Offensive it was not completed until early 1945. The first Werner-Schaus Ministry was the government of Luxembourg between 2 March 1959 and 15 July 1964. It was a coalition between the Christian Social People's Party (CSV), and the Democratic Party. 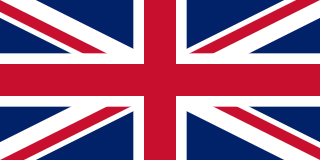 It was formed after the general election of 1959. The Battle of Vianden took place November 19, 1944 in the small town of Vianden in northern Luxembourg, and was one of the most important battles of the Luxembourg Resistance against Nazi Germany during World War II. ↑ Various (2011). Les Gouvernements du Grand-Duché de Luxembourg depuis 1848 (PDF). Luxembourg: Government of Luxembourg. p. 110. ISBN 978-2-87999-212-9. ↑ Office of United States Chief of Counsel for Prosecution of Axis Criminality (1946). "9: Launching of Wars of Aggression, section 10 Aggression against Belgium, the Netherlands and Luxembourg". Nazi Conspiracy and Aggression (1). United States Government Printing Office. Archived from the original on 2013-09-27. ↑ Thomas, Nigel (1991). Foreign Volunteers of the Allied Forces, 1939–45. London: Osprey. p. 15. ISBN 978-1-85532-136-6. ↑ Raths, Aloyse (2008). Unheilvolle Jahre für Luxemburg - Années néfastes pour le Grand-Duché. p. 7. 1 2 3 4 5 Various (2011). Les Gouvernements du Grand-Duché de Luxembourg depuis 1848 (PDF). Luxembourg: Government of Luxembourg. pp. 110–1. ISBN 978-2-87999-212-9. 1 2 3 4 5 6 7 "Luxembourg". United States Holocaust Memorial Museum . Retrieved 11 May 2013. 1 2 "World War II". Allo Expat: Luxembourg. Archived from the original on 20 February 2015. Retrieved 11 May 2013. 1 2 3 4 "The Destruction of the Jews of Luxembourg". Holocaust Education and Archive Research Team. Retrieved 11 May 2013. 1 2 3 "Luxemburg Collaborationist Forces in During WWII". Feldgrau. Retrieved 11 May 2013. 1 2 3 "Luxembourg Volunteers in the German Wehrmacht in WWII". Feldgrau. Retrieved 11 May 2013. ↑ "Righteous Among the Nations Honored by Yad Vashem: Luxembourg" (PDF). Yad Vashem . Retrieved 11 May 2013. 1 2 3 Yapou, Eliezer (1998). "Luxembourg: The Smallest Ally". Governments in Exile, 1939–1945. Jerusalem. ↑ Raths, Aloyse (2008). Unheilvolle Jahre für Luxemburg - Années néfastes pour le Grand-Duché. pp. 401–3. ↑ Thewes, Guy (2011). Les Gouvernements du Grand-Duché de Luxembourg depuis 1848 (PDF). Luxembourg: Government of Luxembourg. p. 114. ISBN 978-2-87999-212-9. ↑ "Commémoration de la Shoah au Luxembourg". Government.lu. 3 July 2005. Archived from the original on 30 September 2007. Retrieved 11 May 2013. ↑ Various (2011). Les Gouvernements du Grand-Duché de Luxembourg depuis 1848 (PDF). Luxembourg: Government of Luxembourg. p. 112. ISBN 978-2-87999-212-9. 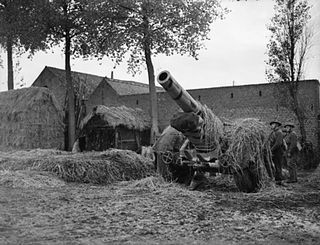 ↑ "The 1st Belgian Field Artillery Battery, 1941–1944". Be4046.eu. Retrieved 11 May 2013. ↑ "V-3: The High Pressure Pump Gun". Battlefieldsww2.com. Archived from the original on 14 March 2015. Retrieved 11 May 2013. 1 2 "La bataille des Ardennes". Secondeguerremondiale.public.lu. Retrieved 28 June 2013. ↑ Schrijvers, Peter (2005). The Unknown Dead: Civilians in the Battle of the Bulge. University Press of Kentucky. p. 361. ISBN 0-8131-2352-6. ↑ "Luxemburg nach dem Ende des Zweiten Weltkriegs". HIistoprim Online. Archived from the original on 14 March 2015. Retrieved 8 June 2013. Wikimedia Commons has media related to Luxembourg in World War II . Preface by Bech, Joseph (1942). Luxembourg and the German Invasion, Before and After:The Luxembourg Grey Book. London: Hutchinson & Co.